In the early 1980s, Deborah Jacobs was an ordinary Lebanese American college student from Long Island, New York. By the end of the decade, she would bear witness to the making of international history. Her story begins in graduate school: through a series of chance encounters, young Deborah was introduced to Marwan Kanafani, a dashing former soccer star turned high-ranking Palestinian diplomat who was working at the United Nations. A political dynamo with movie-star charm, Marwan swept Deborah off her feet and into a marriage that kept her in the company of diplomats, dignitaries, world leaders, international glamour and intrigue. Although exciting, this lifestyle also isolated Deborah increasingly from her independent, American way of living, creating a rift that would end their marriage. Marwan's profile was on the rise, and with it came a number of crucial connections for Deborah: while his involvement with the PLO intensified, eventually resulting in his appointment as senior advisor and spokesperson for Yasir Arafat, she formed friendships with such women as Suha Arafat, Queen Dina of Jordan, and other women married to Arab leaders. After her divorce, when these women agreed to tell their stories of struggle and survival for a book, Deborah traveled to the Middle East to record them, planning to join her children, who were on the West Bank visiting their father. To her shock and horror, he refused to return the children to her. 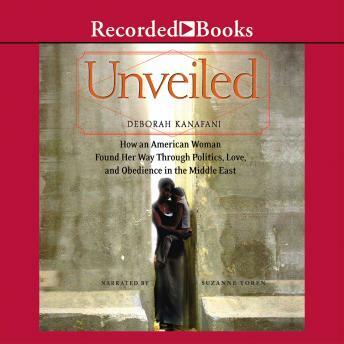 Deborah stayed in the Middle East for several years to be near her children, finding strength in the women whose lives she documented and whose incredible stories are told in this book. She was eventually able to arrange the return of her children when they were evacuated to another country during a Palestinian uprising. The story of her journey, intertwined with those of the wives of the Arab leaders, takes the reader into an otherwise inaccessible and cloistered world populated by larger-than-life characters living out all-too-human dramas. Culture, politics, and family collide in this gripping front-row perspective of the Middle East conflict and of the courageous women working behind the scenes for peace and challenging the patriarchal traditions of their homeland.